Thomas Erl is a best-selling IT author and the world’s top-selling SOA author. His books encompass topics ranging from cloud computing, semantic Web technology, and SOA. He is the series editor of the Prentice Hall Service Technology Series from Thomas Erl, as well as the editor of the Service Technology Magazine. With more than 160,000 copies in print world-wide, his published books have become international bestsellers and have been formally endorsed by senior members of major IT organizations, such as IBM, Microsoft, Oracle, Intel, Accenture, IEEE, MITRE, SAP, CISCO, and HP. As the founder of Arcitura Education Inc., Thomas has overseen the development of curricula for the internationally recognized SOASchool.com SOA Certified Professional (SOACP) and CloudSchool.com Cloud Certified Professional (CCP) accreditation programs, which have established a series of formal, vendor-neutral industry certifications. Thomas has toured over 20 countries as a speaker and instructor for public and private events and regularly participates in SOA, Cloud + Service Technology Symposium, and Gartner conferences. More than 100 articles and interviews by Thomas have been published in numerous publications, including The Wall Street Journal and CIO Magazine. Benjamin Carlyle is a founding developer of the Invensys Rail “SystematICS” services framework, and has worked for many years as a software developer, software architect, and systems engineer on railway projects worldwide. He has focused on integrating REST and services technologies since around 2004. His work is referenced in several books on Restful Web services and on microformats, he has presented at the International SOA Symposium, and has served on the technical committee for international workshops on RESTful Design. 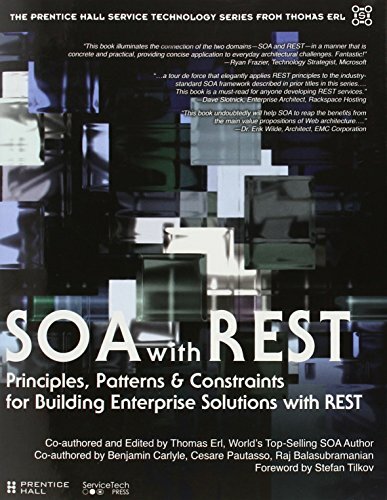 He is credited with helping inspire the RESTlet framework for Java, and coined the term “REST Triangle” to describe the structure of a REST uniform contract. 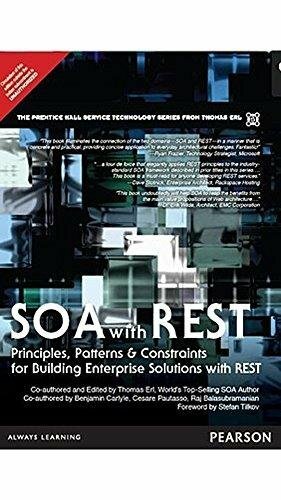 He has a deep understanding of both the theory and practice of REST and related styles as well as broader software and systems architecture topics. Cesare Pautasso is an assistant professor at the Faculty of Informatics at the University of Lugano, Switzerland. Previously he was a researcher at the IBM Zurich Research Lab and a senior researcher at ETH Zurich, where he also completed his graduate studies with a Ph.D. in 2004. His teaching, research, and consulting activities both in academia and in industry cover advanced topics related to Software Architecture, Service Oriented Computing, and emerging RESTful Web services technologies. His research group focuses on building experimental systems to explore the intersection between the REST architectural style and model-driven software composition techniques, business process management, and liquid, self-organizing service-oriented architectures. He is an active member of IEEE and ACM, where he has participated in more than 100 international conference/workshop program committees. He has started the series of International Workshops on RESTful Design (WS-REST) at the WWW conference and was the general chair of the 9th IEEE European Conference on Web Services (ECOWS 2011). He regularly referees for Swiss, EU, and international funding agencies. Raj Balasubramanian is a senior technologist from the Business Process Optimization (BPO) team within IBM Software Group focused on delivering SOA/BPM/Cloud solution across industries. Depending on the needs of the customer he has played the role of an enterprise architect, system architect, or solution architect to deliver on the engagement at hand. Prior to the focus on BPO, he was a lead portal architect delivering portal solutions to medium and large enterprise as part of the Lotus brand. He has published numerous articles on IBM DeveloperWorks and speaks at industry conferences on a variety of topics. His interests are in distributed systems, applying Web constructs to solution design, and using formal models and analytics to reason about large systems. Raj is also pursuing a Ph.D. in ECE at University of Texas at Austin where he is applying machine learning and data mining techniques to networked data from social Web to human travel. His official profile is on http://raj.balasubramanians.com, which links to his various personas.